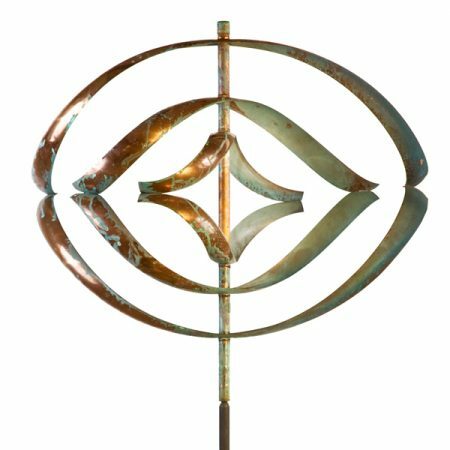 Lyman Whitaker’s wind sculptures come in a range of sizes and styles appropriate for any landscape or climate. 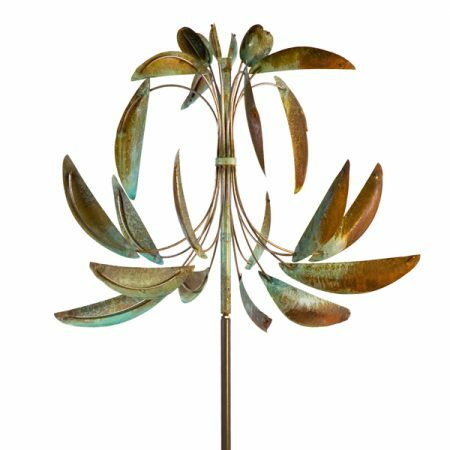 A sealed bearing allows each sculpture to turn freely in a soft breeze or rotate briskly in a strong wind. 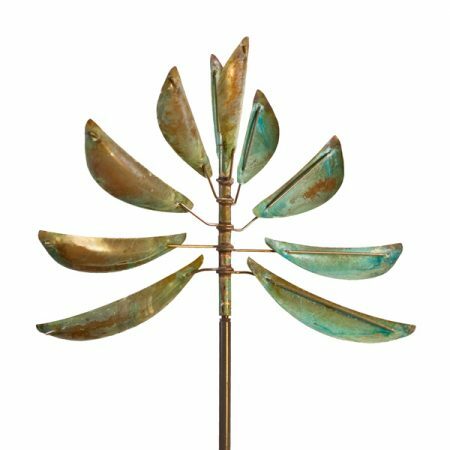 Many wind sculpture lovers have placed their sculptures in cold climates as they are built to tolerate snow and ice. 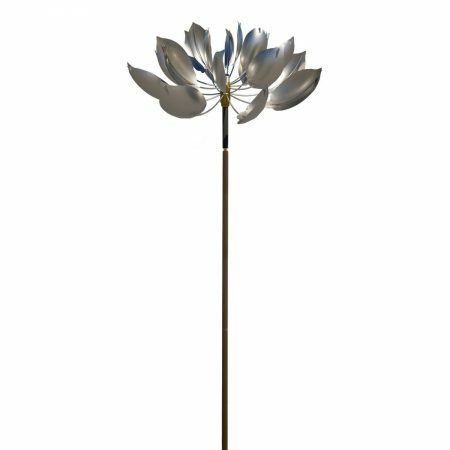 Each wind sculpture comes with a steel ground mount for simple installation. 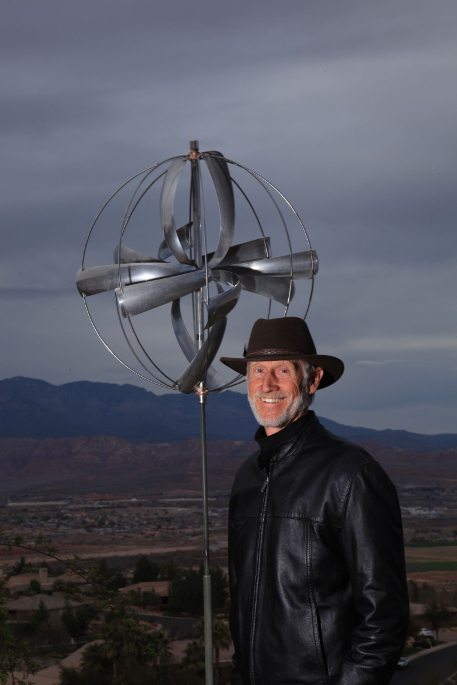 Lyman dedicates his work to the wind and weather. 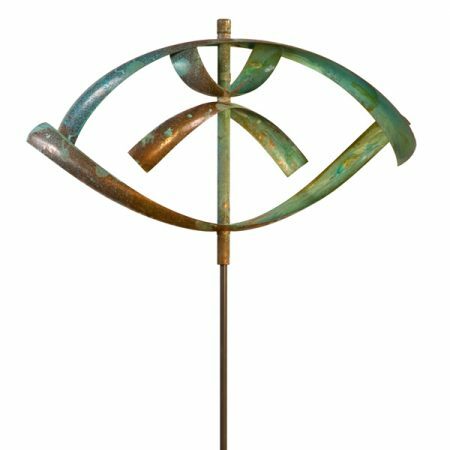 He hopes that his sculptures will inspire love for our earth’s thin moving layer of air – it warms us, gives us breath, sustains our being.